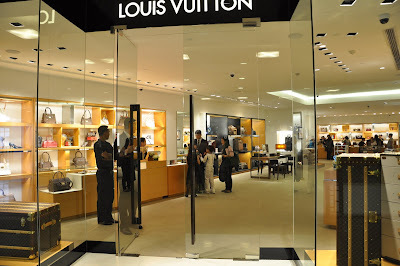 Louis Vuitton Malletier is commonly referred as Louis Vuitton commonly shortened to LV — is a French fashion house founded in 1854. 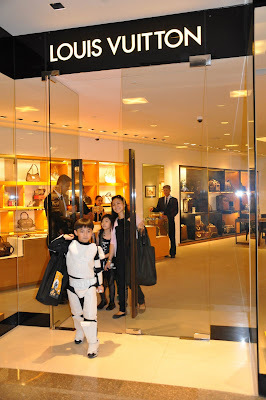 Louis Vuitton is one of the world's leading international fashion houses. The label is well known for its LV monogram, which is featured on most products, ranging from luxury trunks and leather goods to ready-to-wear, shoes, watches, jewellery, accessories, sunglasses, and books. ...if I have. 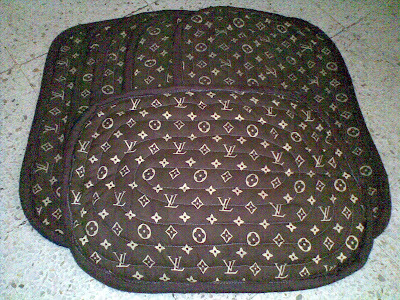 Someday, I will be owning an authentic LV bag, but for now, I am happy owning these 6 pieces of floor mats (which I bought last November 7, 2010 at Greenhills on the way to Sati's Birthday Party) for 3 pieces for P100 (hundred pesos) only! Pehpot: naku kung di lang nakahambalang sa gitna ng daan ang kotse at di kami nagmamaali para di ma late sa kaarawan ni Sati, ay papakyawin ko e...kasi di madumihin. fren ang yaman LV bonggang bonga!! !